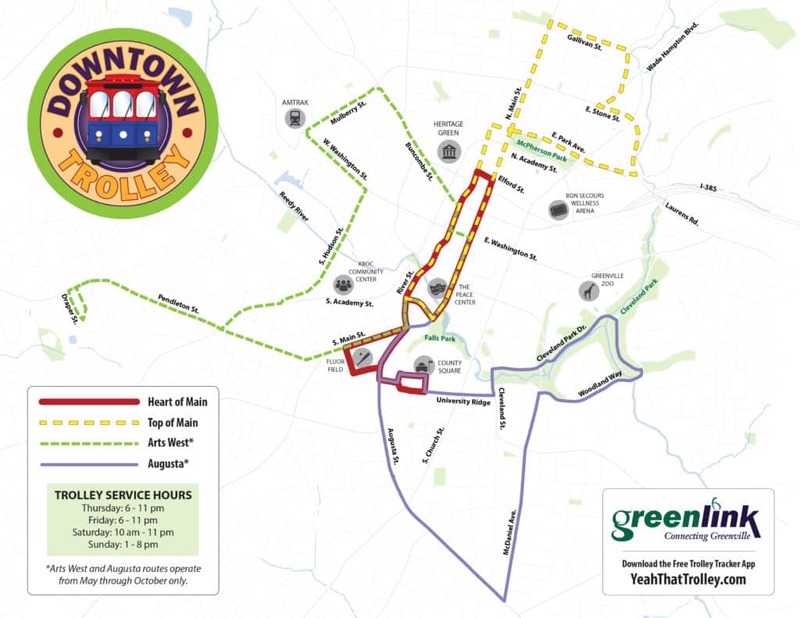 New routes for the Free Downtown Trolley start today. The expansion brings new service to the Village of West Greenville, further into the North main neighborhood, and through Cleveland Park, Down McDaniel and Back down Augusta Road. The trolleys hold 35 passengers and are equipped with bike racks on the front. 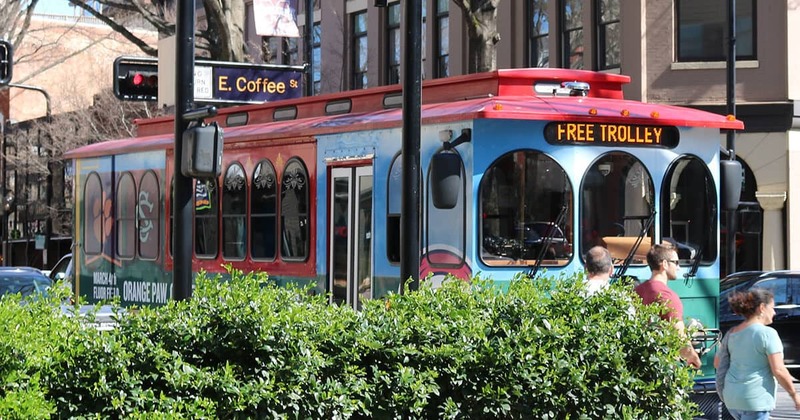 The Trolley operates Thursday through Sunday (6:00pm-11:00pm on Thu & Friday, 10am-11pm on Sat and 1:00pm-8:00pm Sun). There is also “Lunchlink” service on Fridays from 11:00am to 2:00pm that runs only from County Square up Main Street for quick stops to grab a bite to eat. You can only get on and off the trolley at designated stops, indicated by signs, so don’t try and flag it down just anywhere. Hang tight at a stop, or download the trolley tracker app below to figure out when it will arrive. Check the Google Play Store and Apple App Store for the Trolley Tracker app to see the Trolley locations in real time so you’ll never miss it. How do you plan to utilize the new routes? Give us a shout in the comments below and let us know.